Technology has become a huge part of our everyday lives. We live in a world where the youngest generation has never experienced a non-digital world and where more than half of the adult population owns a smartphone. As we become more time-conscious, digital innovation continues to thrive. We can order a car ride, make a lunch reservation, or purchase a new pair of shoes all at the touch of a button. A growing area that can save us both time and money is online food shopping. Although food has been one of the slowest major consumer sectors to expand into e-commerce, consumers are growing more comfortable with buying online groceries. Findings by PwC Global found that about 20% of consumers have purchased groceries online and 9% of consumers purchase online once a month or more frequently. This further acceptance can also be seen in the 30% growth of grocery e-commerce between 2016 and 2017, reported by Kantar Worldpanel. The same report shows that e-commerce currently accounts for 4.6% of all FMCG sales, and will reach 10% at a valuation of $170 billion by 2025. As more services such as grocery delivery, ready-made meal kits, and food purchasing apps develop, the food e-commerce sector is sure to continue to grow, and at a rapid pace. So, what does this mean for food businesses that want to capitalise on this trend? It can mean facing quite a few challenges. With e-commerce, it is much easier to sell to international markets. This means having to adapt to the trends of different markets. For example, shopping for food online is very popular in Asia, but is growing more slowly in some European countries and the Americas. Different promotional methods will have to be used in these markets to cater to the differing consumer behaviors. Additionally, selling products in international markets means complying with the regulations of each country in which the product is being sold. This is especially important with the labels that appear on the food products. They must meet the requirements of local regulations. Each country will also have its own customs rules for different products with which companies must comply. The digital platform aspect of food e-commerce raises further rules that must be followed depending on the country of sale. Merchandising rules that would apply in a physical store must also apply to the online store. That might involve grouping certain similar products together, or it could mean separating products that are too similar, such as real butter and margarine spreads. Selling food products online is a process that is also subject to any of the country's online advertising, privacy, copyright and taxation rules. The world of food e-commerce can be difficult to navigate, especially if you were not anticipating having to take all of these rules and laws into consideration. It takes a great amount of attention to detail to ensure that you are complying. This is where Intertek can help. Our Label Validation Services can ensure that your labels follow the regulations of each country in which you are selling your products. With this guidance, facing the challenges of selling food products online will be much easier. For additional information, watch our complimentary webinar on Food E-Commerce. 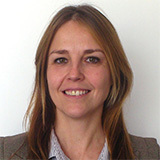 Maud Nauge is Global Key Account Director for Intertek Food Services. Maud joined Intertek in 2003 as a business engineer and contributed to the development of local and international quality control programmes on behalf of clients in the retail and food industry. She has subsequently evolved into a business development role and in this context, she has over 10 years of experience in consulting projects for global markets. Maud has an Engineering degree from the Ecole Nationale Superieure des industries agricoles et alimentaires.